For the majority of Buddhists, going on a pilgrimage to the holy places mentioned by the Buddha, is a once-a-lifetime undertaking. With so much time, money and effort involved, it is imperative for the intending pilgrim to truly understand what a pilgrimage is all about, especially the mental aspect, since the physical part is normally taken care of by a travel company. A pilgrimage is a journey to a sacred place as an act of faith and devotion. In the scriptures, faith or saddha is the professing of confidence in and the sense of assurance based on understanding that one places on the Buddha, Dhamma and Sangha. It is not the blind belief based on wrong view. As ignorance is the leader of immoral mental states, so saddha is the leader of moral mental states because its chief characteristic is the purification of the mind. Thus the pilgrim is no ordinary tourist who travels for the pleasure of sightseeing and enjoyment. Unlike sensual delights, the sight of the holy shrines do not arouse craving but act as a condition for wholesome mental states to arise in the pilgrim’s mind. 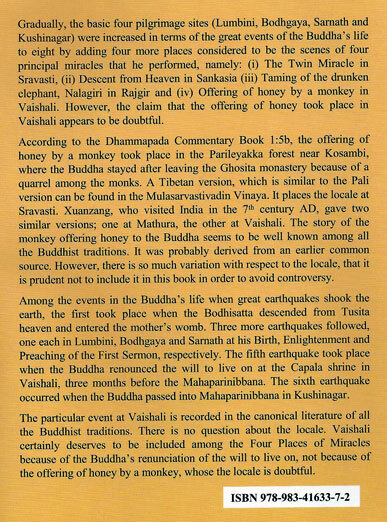 The Buddha himself advised us to visit those places where he was born, where he attained Enlightenment, where he preached the First Sermon and where he passed into Mahaparinibbana, and look upon them with feelings of reverence. 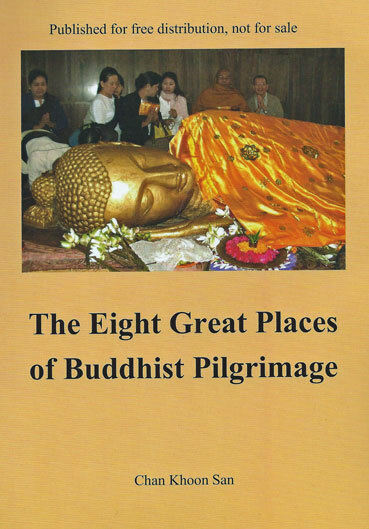 As more and more Buddhists begin to realize the importance of performing a pilgrimage following the Buddha’s exhortation, the need for a simple guidebook becomes evident."